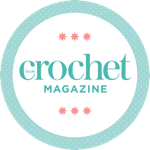 In issue 52 our columnist is getting ready for birthday parties galore with cake, crowns and crocheted bunting! Grab your glad rags, it's party time! We're putting the final touches to issue 50 – and it's time to celebrate. 50 fabulous issues of Inside Crochet.